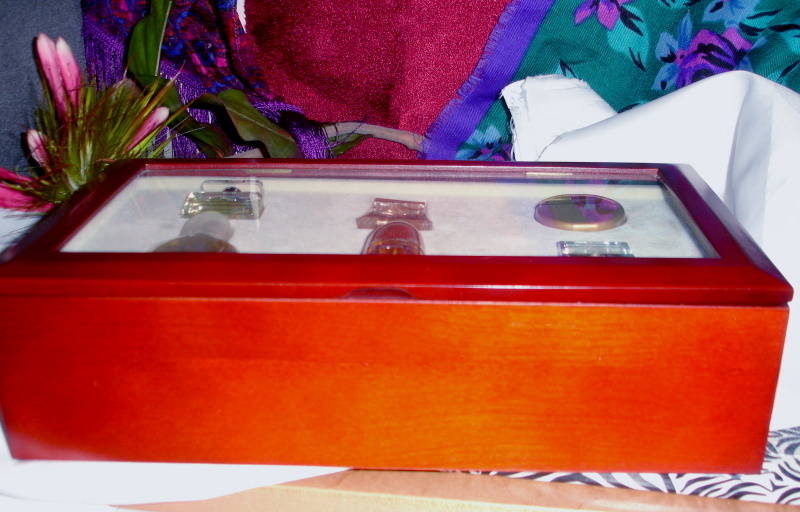 Description: Really nice jewelry box with a glass top so you can see what is inside. 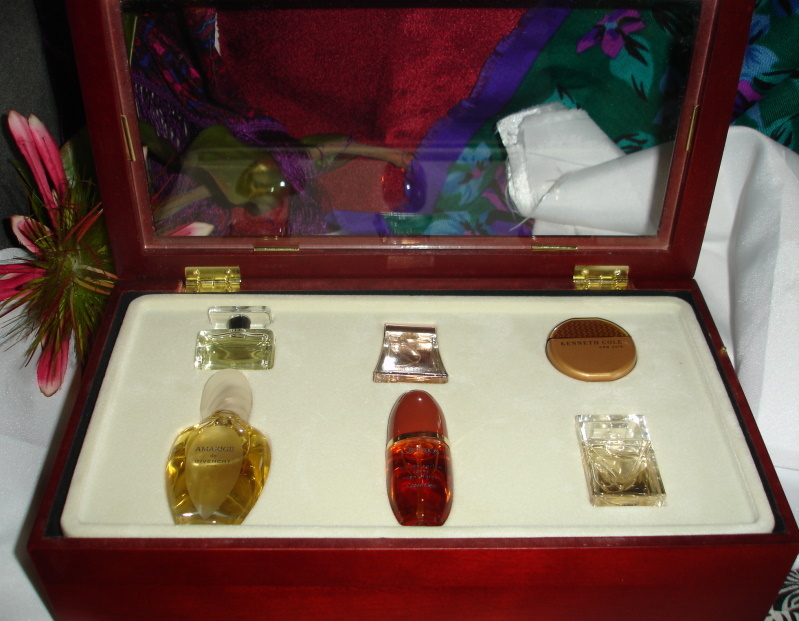 Has a removable plastic molding that holds 6 perfumes. All are in unused condition and in excellent condition. No damage to this set at all. 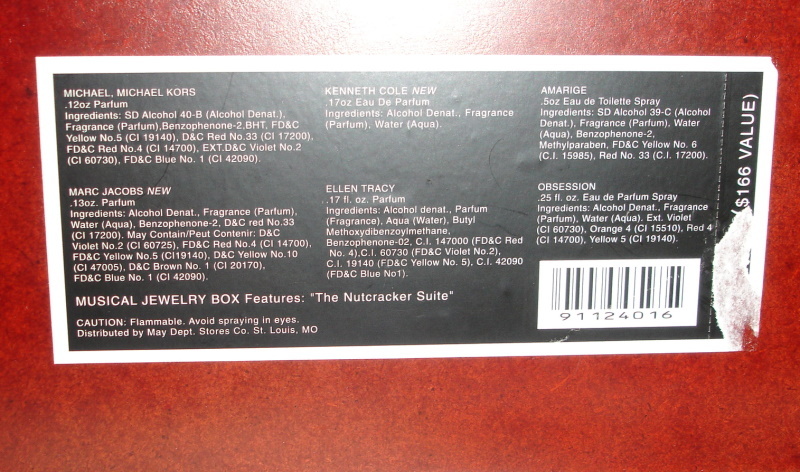 Only flaw is part of the label on the bottom of the box that someone removed that showed the price paid for the set. The rest of that part of label can be removed easily. I was going to do it but left it so you could see what the set was valued at. It probably sold new for $90 or so. 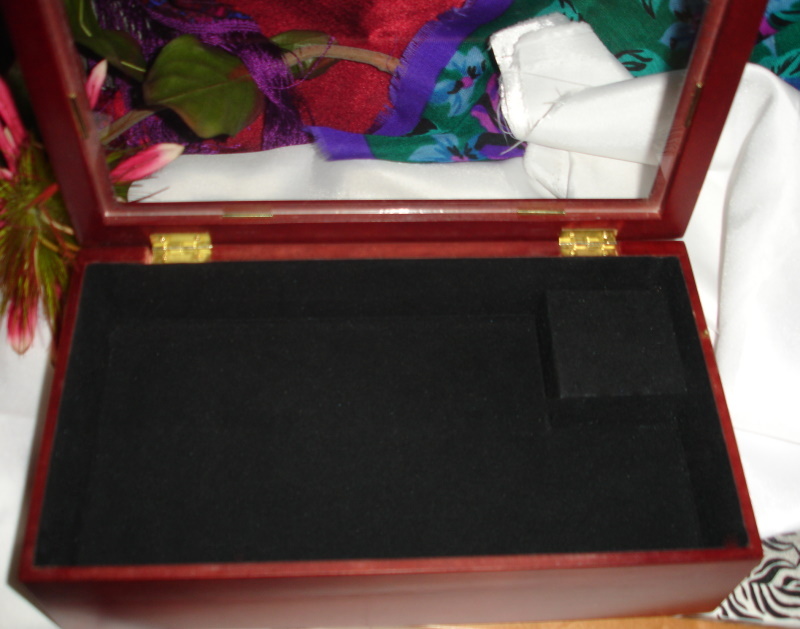 The plastic molding that holds the perfume can be removed in order to use the velvet lined box to hold your valuables. Music box plays the wonderful, festive tune of Nutcracker Suite. Would make a great gift for a perfume lover. Has the following Designer perfumes - Michael Kors Michael, Calvin Kelin Obession, Givenchy Amarige, Marc Jacobs, Ellen Tracey, and Kenneth Cole. This is from the year 2000. I have kept it wrapped in tissue paper to protect it. The wood is beautiful and luxurious looking.